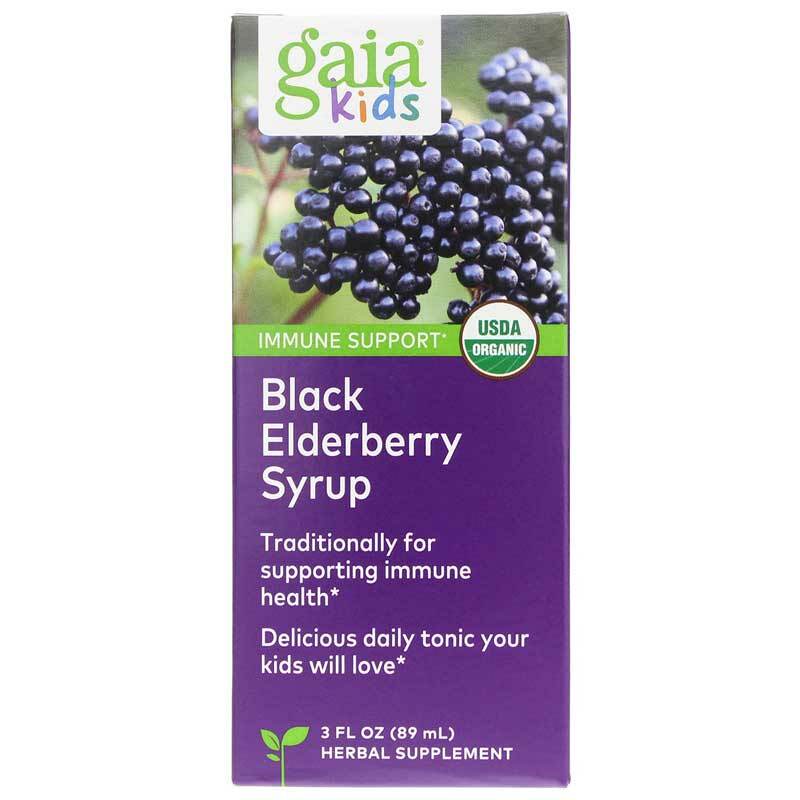 Black Elderberry Syrup from Gaia Kids is an alcohol-free syrup that provides support for the healthy immune system of your child. 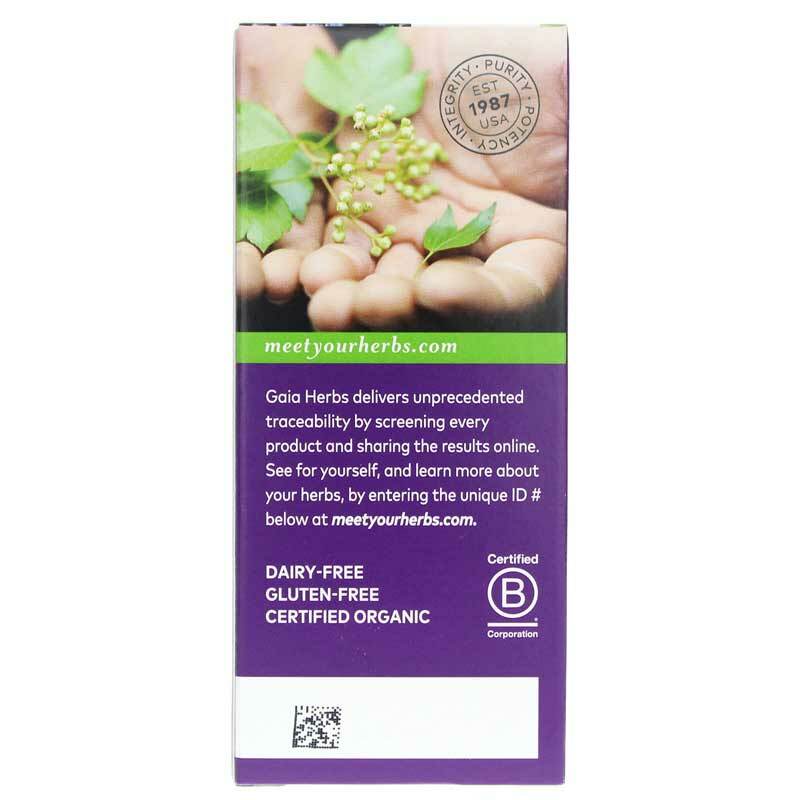 This great-tasting, alcohol-free all-natural syrup, made using certified organic black elderberries and added acacia honey, can be taken by children daily or on occasion to support their immune systems. Acacia honey provides tasty and soothing comfort for your upper respiratory system. Long credited with supporting immune health, black elderberry may also support your body's natural defense. As elderberry is a potent source of flavonoid rich compounds, meaning it may exert antioxidant protection on your cells. This protection may help support cellular health from free radical damage and airborne elements. Black elderberry's antioxidant effects may help support your immune system. This formula also includes acerola cherry extract, for its high content of vitamin C and bioflavonoids. As this vitamin C is naturally bound and occurs with all of its cofactors, it is a gentle and easily assimilated form of vitamin C than synthetic ascorbic acid. Its antioxidant effects boost the immune system and its unique properties relieve pain and reduce fever. Age 6 and older: use 1 teaspoon. 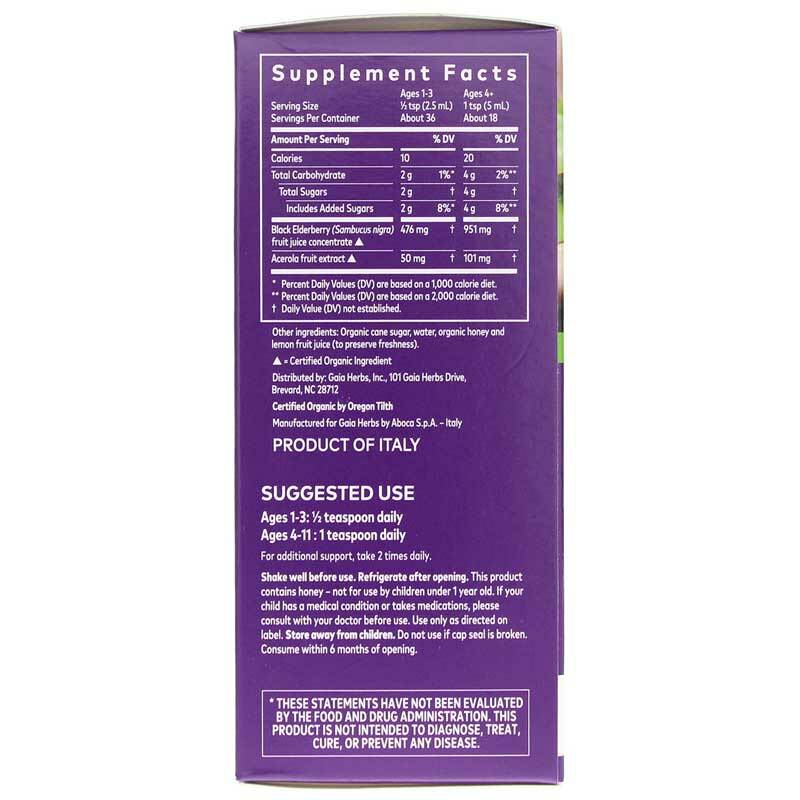 This formula can be taken once a day for general immune support, or twice a day for acute use. It contains no artificial ingredients or preservatives. Other Ingredients: organic sugarcane, water, organic honey and lemon fruit juice. Take once daily for general immune support. Take 2 times daily for acute use. Refrigerate after opening. Shake well before using. This product contains honey - not for use in children under 1 year old. If your child has a medical condition or takes pharmaceutical drugs, please consult with your doctor before use. Use only as directed on label. Do not use if safety seal is broken. Keep out of the reach of children.